Philanthropists have contributed more than half the cost of a new Global Mathematics Institute, which will be run by Sydney University. Donors, including the Simon Marais Foundation and the Hooper Shaw Foundation, have guaranteed $6.5 million over 10 years to fund the institute, which is intended to retain talented Australian mathematicians in the country and attract overseas mathematics specialists to do research in Australia. Director of the new institute, Professor Geordie Williamson, who returned from five years at the Max Planck Institute in Germany to take on the new job, said he wanted to make a world class maths organisation and change the culture about maths in Australia. “It’s extraordinary what happens at these institutes. You feel supported to do research. And it’s difficult to underestimate what effect that has. You’re there to do research and that’s all you do,” Professor Williamson said. Mathematics PhD at Oxford University and former graduate in maths at Sydney University, Jared Field✓, said it was easy for new researchers to lose excitement about their subject. At Oxford colleges had counteracted this by introducing international participants in programs on a high rotation. “In order to achieve ground-breaking research in mathematics you need an enormous amount of time. And I’m not talking about a week or a month or a year. The best mathematicians in the world spend their entire lives thinking about two problems. I’m not exaggerating. The total initial investment will come to $8.25 million over five years with the balance contributed by Sydney University itself. 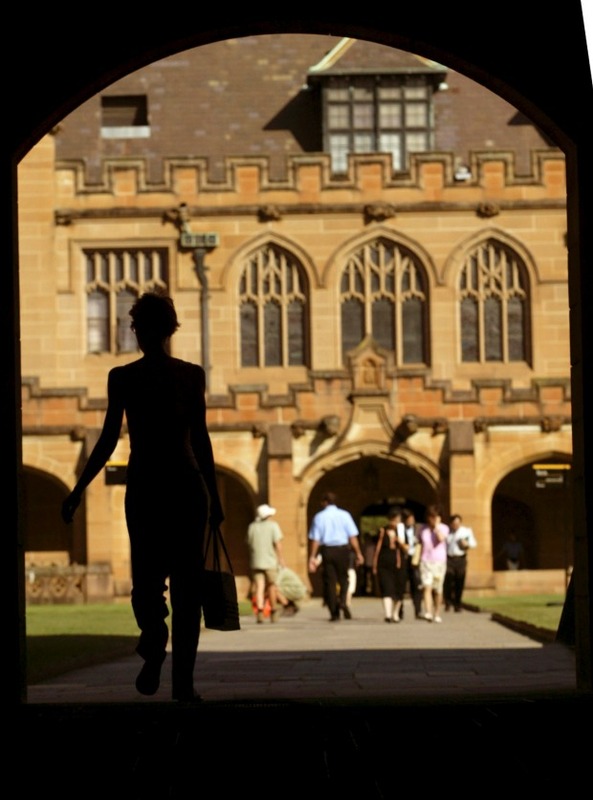 “The money from the University of Sydney supports visits to the university. The money from the philanthropic donors supports mathematics in Australia more broadly. And we are very keen to support visitors that move around the country,” Professor Williamson said. The head of the School of Mathematics and Statistics at Sydney University, Professor Jacqui Ramagge, said she hoped to raise between $20 million and $36 million to create an endowment fund that would allow the institute to keep funding, regardless of university five-year funding programs. “We need to give ourselves an income so we can run in perpetuity. We’re always looking for more. And there is a package for naming rights, if anyone out there is interested,” she said. Mathematics PhD at Oxford University and former graduate in maths at Sydney University, Jared Field, said it was easy for new researchers to lose excitement about their subject. At Oxford, colleges had counteracted this by introducing international participants in programs on a high rotation. He said this meant there was a flow of people, who had made it in their careers but were still very excited, which was helpful to people just setting out on their research careers. Previous articleAre anti-gay witch hunts really protecting ‘African values’?